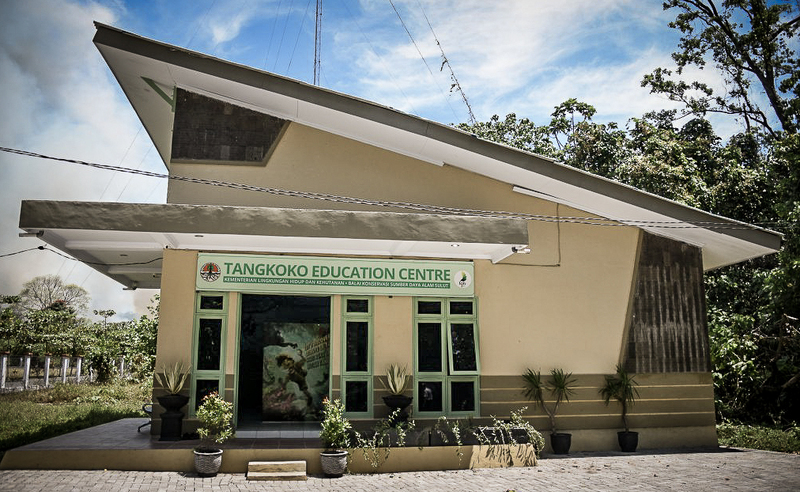 The Tangkoko Education Centre – a place to excite, educate and empower! Three years in the making, we are glowing with pride with the unveiling of the wonderful Tangkoko Education Centre! It has taken a huge amount of work – conceptualising, planning, designing, writing & editing text panels, painting murals among many other tasks – this really has been a monumental team effort! 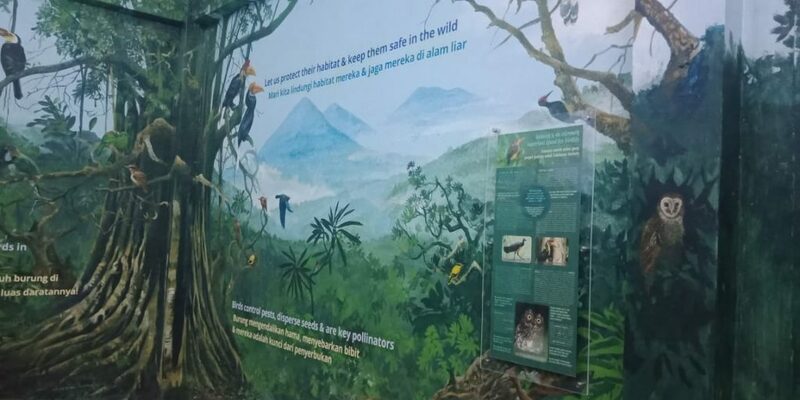 The Ministry of Environment & Forestry’s BKSDA North Sulawesi collaborated with SAMA Nature Protection Alliance to bring this creation to Tangkoko. Careful coordination was required to brainstorm with local partners, communities, guides & other stakeholders about what would make the centre effective, then put those ideas into practice! After constructing the building in 2016, the challenge was to find the funds to create an engaging & meaningful visitor experience. Striking murals and different levels of multi-language text to appeal to all! “TEC” as she is called, has 3 main objectives…to educate, excite & empower! 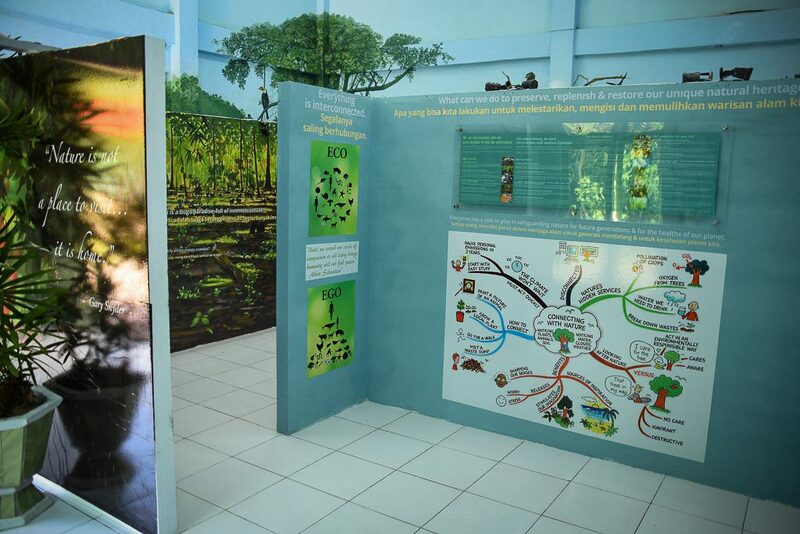 TEC aims to provide engaging, clear information about Tangkoko’s unique wildlife, threats & conservation efforts, to foreign visitors & local school & community groups. The hope is that while supporting the guides’ tours, visitors will take away a new appreciation for how special this park is, be inspired by the unique wildlife & discover new ideas about actions to help preserve nature both here & at home. This project was generously sponsored by EPASS with funds from GEF coordinated by UNDP, along with Boras Zoo, & additional support from other sponsors. 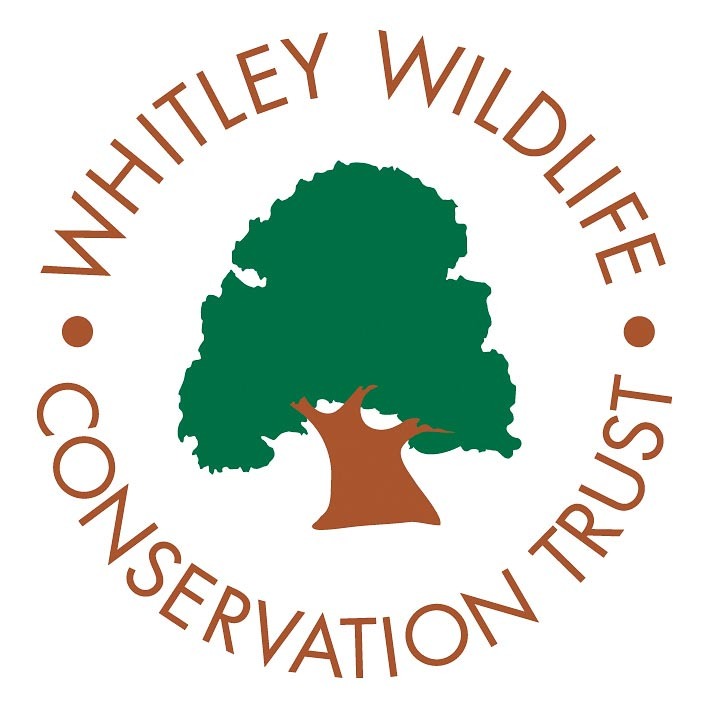 There are so many people who have put in time & effort to make this a reality all of whom deserve huge thanks, from creative ideas, building preparations & printing materials, to cooperation of guides, park staff, local communities & partners. Special appreciation goes to Simon Purser from Wallacea Nature for his creativity, knowledge & determination to fulfil this project. Next, a special plug for the skilful designwork from our Education Coordinator Prisi Loijens (a wizard at working under pressure!) & all the great input from the SY team! Finally, a deep & sincere thank you & big applause to the incredibly talented wildlife artist Dao Van Hoang. With his stunning mastery of the paintbrushes, Hoang truly breathed life, colour and feeling into this beautiful education centre. A beautiful, informative and educational hub for all ages to enjoy, TEC is a major step towards ecotourism principles in KPHK Tangkoko. Come and visit Batuputih Nature Recreation Park and learn about Tangkoko’s fascinating wildlife! With support from EPASS and Wildlife Reserves Singapore, SY are taking on the enormous task of surveying the population of Yaki across its native North Sulawesi range. Three teams composed of rangers, university forestry students and local community members are currently in the field strategically deploying 53 camera traps, kindly provided by the Wildlife Conservation Society. Cameras will remain in the field for 12 weeks and the data used to estimate the status and distribution of the Yaki. This will become an essential baseline for a continued annual monitoring effort. This in turn will allow us to track the status of the population over time, meaning we can track our own progress towards our mission of saving the Yaki! 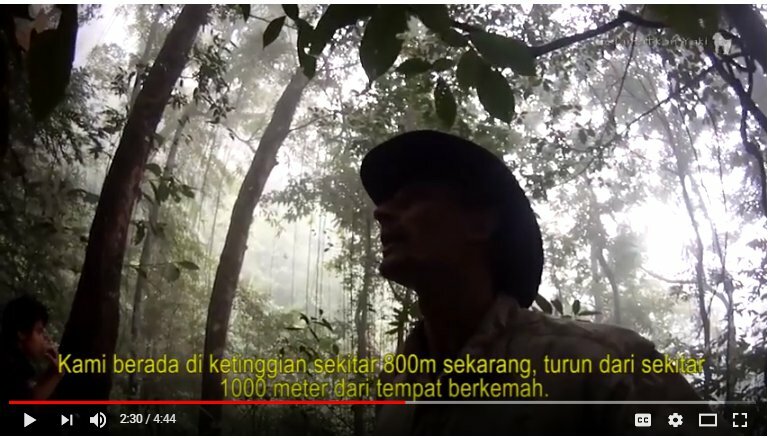 Here is a short video of one of our survey teams, led by SY’s Programmes Coordinator Dr. Caspian Johnson, conducting an essential pilot study in the Tangkoko Nature Reserve. This pilot survey was an important first step to hone our forest skills and methods before extending our efforts across the Yaki’s range, and was made possible by support from Wildlife Reserves Singapore to whom we are very grateful. Since July 2017, SY have been involved in an exciting new project aiming to make the protected areas of Sulawesi more effective at reducing their threats. 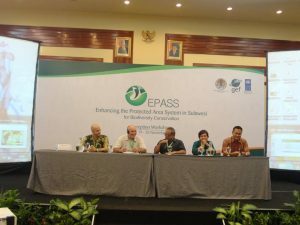 EPASS stands for “Enhancing the Protected Area System in Sulawesi”, a multi-faceted bilateral conservation agreement to protect the region’s unique biodiversity. The project is coordinated by the United Nations Development Programme, financed by the Global Environmental Facility and administered through the Indonesian Ministry of Environment and Forestry. Two of the three forest sites included in this project, Tangkoko Nature Reserve and Bogani Nani Wartabone National Park, are crucial habitat for the yaki, so along with a wide variety of partners SY are working hard to reduce the threats to these areas through a variety of different approaches. With a collaborative agreement four years in the making, this project has enabled SY to increase in capacity to achieve many of our ambitious goals. This includes a region-wide monitoring project to survey the yaki populations, development of a sustainable livelihoods strategy and expanded education and outreach efforts across the province. Check our projects to see what we are currently involved in, all activities of which are supported all or in part under the EPASS project. We will aim to keep you updated with project progress and share updates as the project develops, bringing fresh new hope to the conservation of the yaki and many other endangered species across Sulawesi!